Agreed, Enyeama could have done a better job than Maignan, didn't understand that why Bielsa didn't give any chances and wanted all these former Lille players gone (This included last season goalkeeper Vincent Enyeama, former captain Rio Mavuba, striker Eder, Marko Basa and Marvin Martin), you would still need some good veteran presence on a team to provide leadership and mentoring to the youngster. Bielsa is trying to build from ground up. But I mostly assume his frenetic pace and physically exhausting tactics will be too much for old guards like Mavuba, Martin and Enyeama who has two left feet. Seri to Barce. Nice confirmed as EL exit and Mid table finish. Look like PSG Goncalo Guedes will be joining Spain in Valencia for a season long loan move. Still got high hopes for this young player but currently at this PSG squad there was just not any significant minutes available for him. Draxler, Di Maria, Lucas Moura and Pastore will all be ahead of him in term of playing times. .
Has Favre ever finished mid table as a head coach ? I don't think so. no Silva, no Bakayoko, no Mendy, no problem for Monaco lol. Marseille sign Aymen Abdennour (ex TFC, ASM) on loan from Valencia. Abdennour-Rami will probably be the slowest cb pairing in L1 lol. Monaco just signed Lazio's Keita Balde. Marlon Santos has completed his move from Barcelona to Nice on a two-year loan. According to multiple reports, the Ligue 1 side also have an option to sign the 21-year-old -- who was given permission to miss Barca training on Tuesday to finalise the move -- at the end of the two years for €20 million. Marlon joined Barca earlier this summer for €5m, having impressed on an initial one-year loan from Fluminense last year. Lyon have completed the signing of Spain under-19 midfielder Pape Cheikh Diop. The 20-year-old, who had reportedly been on Tottenham's radar, joins Bruno Genesio's side from Celta Vigo for a reported fee of €10 million (£9.3m), with a further €4m in add-ons. Diop scored one goal in 22 La Liga outings for Celta Vigo, with 17 of those appearances coming as a substitute. While Kylian Mbappé was celebrating his loan move to Paris Saint-Germain by helping France batter the Netherlands, there was a rush of Ligue 1 Conforama transfer action as the midnight deadline approached. After Neymar Jr's big-bucks gala arrival earlier in the month, one could have been forgiven for thinking that Paris Saint-Germain's summer recruitment drive was over. However, they had one last big card to play and duly did so at 19:30 on Thursday night, just before France's World Cup qualifying clash with the Netherlands and hours shy of the transfer window's close. The capital club's head-line grabbing capture of France's brightest young star on a season-long loan with an option to convert to a four-year, megabucks contract came as the club looked to streamline the squad with a number of last-minute departures. Côte d'Ivoire international Serge Aurier ended his tumultuous time with Paris Saint-Germain with a five-year, €25m move across the Channel to London club Tottenham. The deal sealed only after the right-back, who has had his share of trouble with the law in France, was granted a UK work permit and came hot on the heels of Poland midfielder Grzegorz Krychowiak's season-long loan deal at West Bromwich Albion. 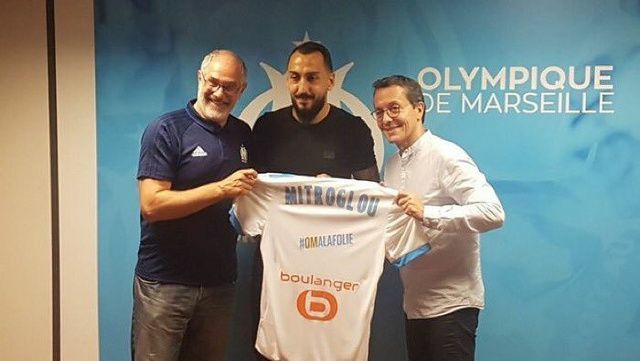 Meanwhile, Paris Saint-Germain's arch-rivals Olympique de Marseille bagged the central striker they were after, signing Greece international Konstantinos Mitroglou on a four-year, €15m deal from Benfica. The physically imposing, ruthlessly efficient 29-year-old striker bagged 16 goals in the Portuguese league last season and feels he is up for the challenge of helping France's sleeping giant back to former glory. France international attacking midfielder Rémy Cabella made the switch from the Vélodrome to Saint-Etienne on a season-long loan confident of more game time with Oscar Garcia's high-flying Verts than with Rudi Garcia's crowded OM squad. The final day of transfer action saw Bordeaux swing into action, securing forward Nicolas De Préville on a four-year, €8m deal from LOSC while also securing the arrival of 19-year-old Brazilian midfielder Matheus Pereira on a one-year loan from Juventus with option to buy. De Préville's was one of several departures as Marcelo Bielsa looks to streamline a radically overhauled squad. Portuguese midfielder Xeka was loaned out to Dijon, while Lenny Nangis, Marko Basa, Junior Tallo and Julian Palmieri all had their contracts terminated and are now free to sign for the club of their choice. Former Aiglons captain Nampalys Mendy was brought back to the Allianz Riviera on a season-long loan from Leicester City, while Olympique Lyonnais announced a loan deal for Amiens midfielder Tanguy N'Dombele, who arrives to cover the loan departure of Sergi Darder for Espanyol, the club whose youth academy he attended. Promoted Amiens quickly moved to cover the loss of N'Dombele by securing a last-minute loan deal for 21-Year-old Brazilian attacking midfielder Nathan from Chelsea and a definitive transfer for 24-year-old South African midfielder Bongani Zungu from Vitoria Guimaraes in Portugal. 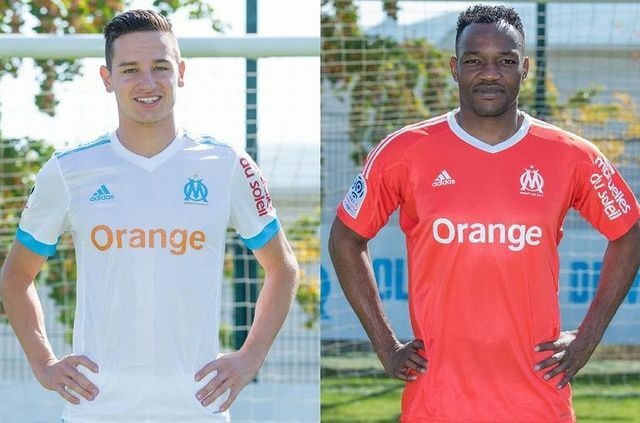 Former Guingamp and Marseille midfielder Giannelli Imbula makes a return to France on loan from Stoke City to Toulouse FC, with no option to buy, and he was joined by Tunisian international Wahbi Khazri, who signed for Stade Rennais on loan from Sunderland. Nantes recruited Netherlands U21 international Queensy Menig on loan from Ajax and FC Metz bagged Togo international and former Valenciennes man Mathieu Dossevi on loan from Belgian giants Standard Liège. He was top scorer for Benfica last season, let see how he's performing in a tougher league for Marseille, however I still feel losing Gomis will be huge for them. He's a mediocre signing if you're aspiring to be in the CL next season. Nice beat Monaco at home 4-0. Monegasque 16 match undefeated run has ended. It has always been a game between AS Monaco and PSG. Admit or not, Paris Saint Germain had a problem coping up when Zlatan Ibrahimovic returns to Man. Utd. Monaco had a hard time stealing a point from OGC Nice. I love how he just goes off and the guy next to him just sits there holding his composure. I know its early but Paris, Monaco, and Nice are clearly the best teams in the league. Watching Marseille getting smoked by Nice and they are a joke just like Lyon are. Bordeaux showed against Paris they arent a contender. Nantes doing well but dont score enough to squeeze into the top 3. Lille have been a bust so far. 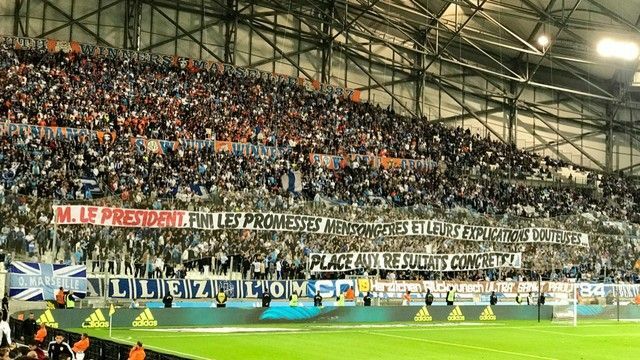 Well very nice comeback for Marseille but I still think Nice are better overall. They were supposed to go the whole season without a sponsor so they could negotiate a better deal for next year but they got one right now and its the same one as the stadium. Mariano Diaz surprise of the season so far I think. 8 goals in 10 matches and played mostly for Real Madrid reserves and bought for only 8m. I didnt expect him to succeed so fast. Luis Gustavo has been great for Marseille too but I think most arent surprised. Flops so far, well Wesley Sneijder still hasnt integrated into the first team on a full time basis. Mitroglou was injured and hasnt played much yet so he gets a pass. Lille, the whole team is a flop so far. Nantes, surprise because they dont score a lot and dont have a lot of talent. In others news, former France international Sabri Lamouchi has replaced Christian Gourcuff as coach of Rennes.